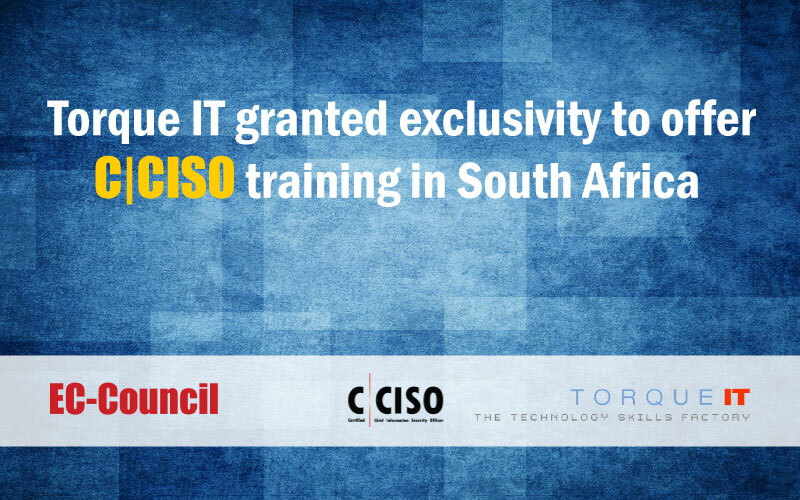 Torque IT, one of the major training solutions providers in Africa is all geared up to offer training services for the coveted C|CISO certification by EC-Council from April 2016. The C|CISO program was launched by EC-Council to train and develop skill at the leadership level in the InfoSec domain. The C|CISO program became a huge success in the U.S., after which it was launched in India in 2014 where it received accolades from the industry. In 2016, the C|CISO program is moving into Africa with South Africa as the pioneering city with Torque IT all set to provide leadership training to the incumbents. The training will be provided in the Torque IT centres located at Cape Town, Johannesburg, and Pretoria.